My salutations to the Adi Guru, to the Guru of all ages, to the True Guru, to the Guru Lord and Master. 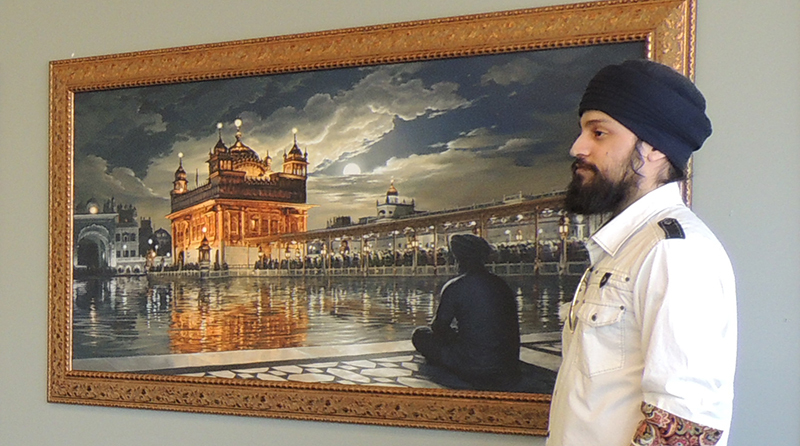 Last week, on November 4th, Sikhs all over the world, celebrated Guru Nanak Dev ji’s arrival on the Earth. 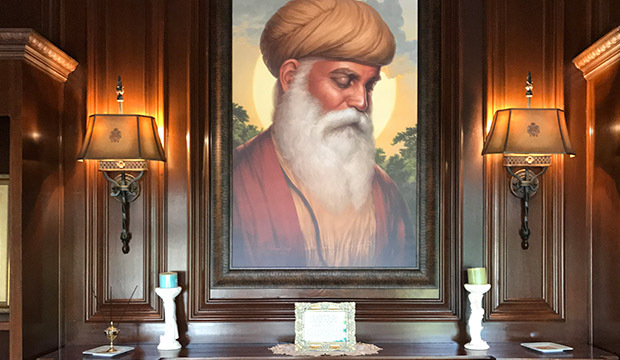 This week I wanted to share my meditations and also some of my paintings and sketches of Guru Nanak Dev ji that I have created over the years. 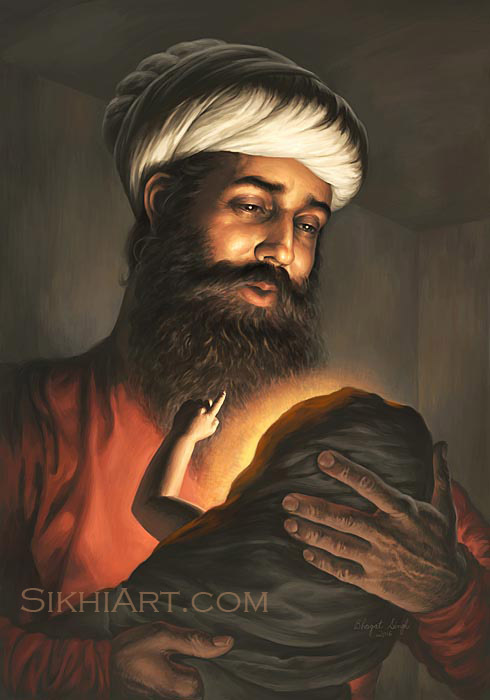 The birth of Guru Nanak Dev ji was a blessing to the world. 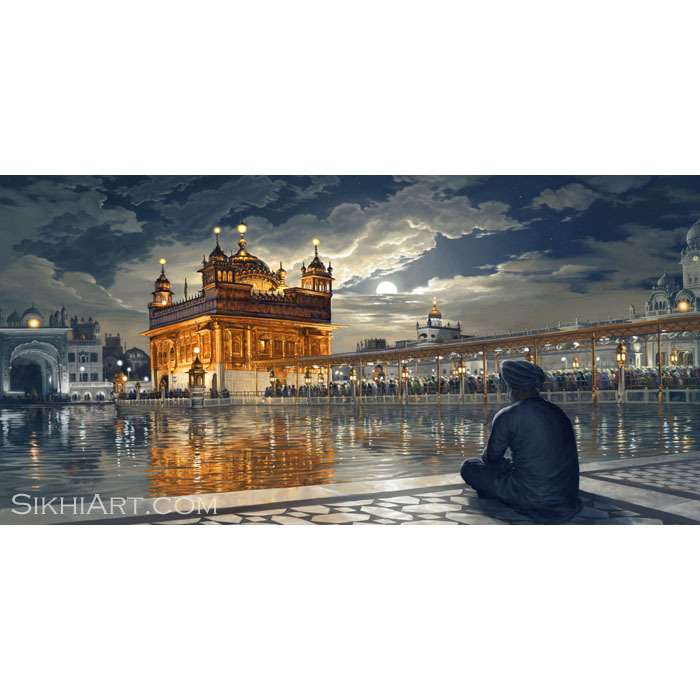 Guru Sahib came to the Earth to dispel the darkness of Falsehood and guide mankind towards the light of Truth. 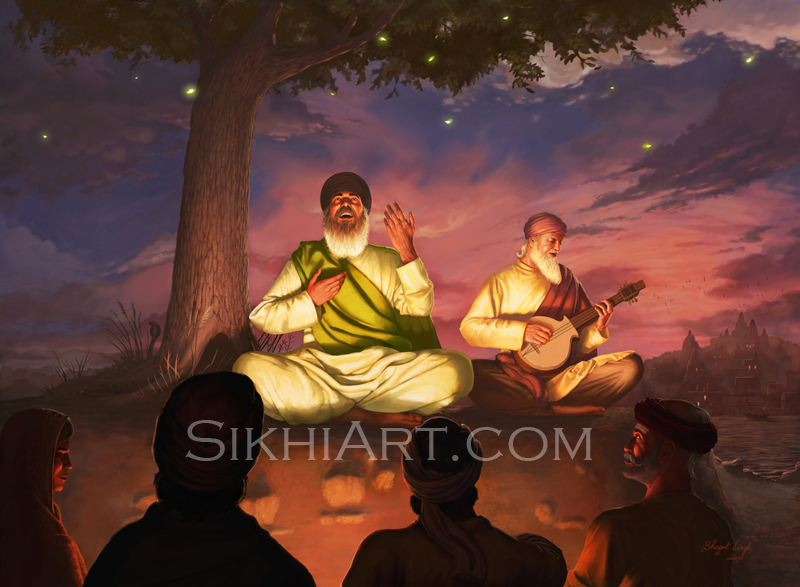 He taught that world is full of suffering, which can only be dispelled by following the light of Truth. 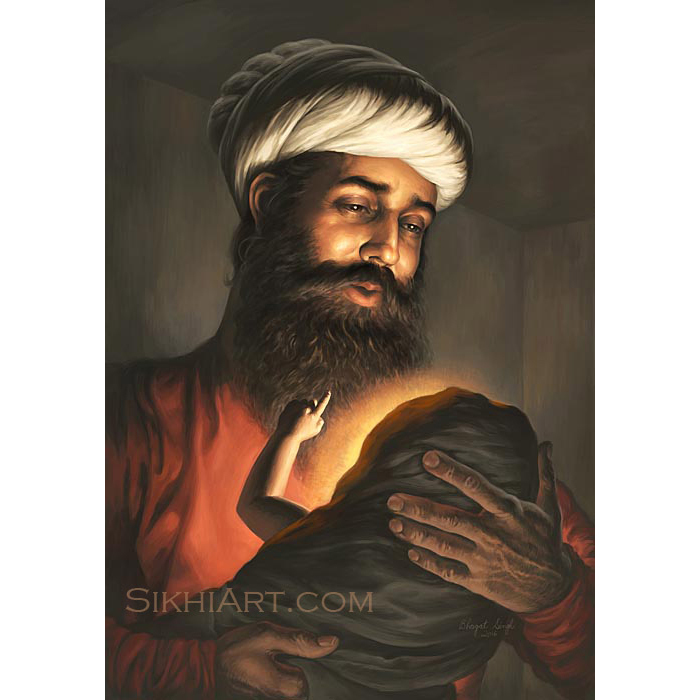 Guru Nanak Dev ji’s Father, Mehta Kalu ji, looks at his newborn child in a peaceful and serene trance state, holding him in his hands for the first time. 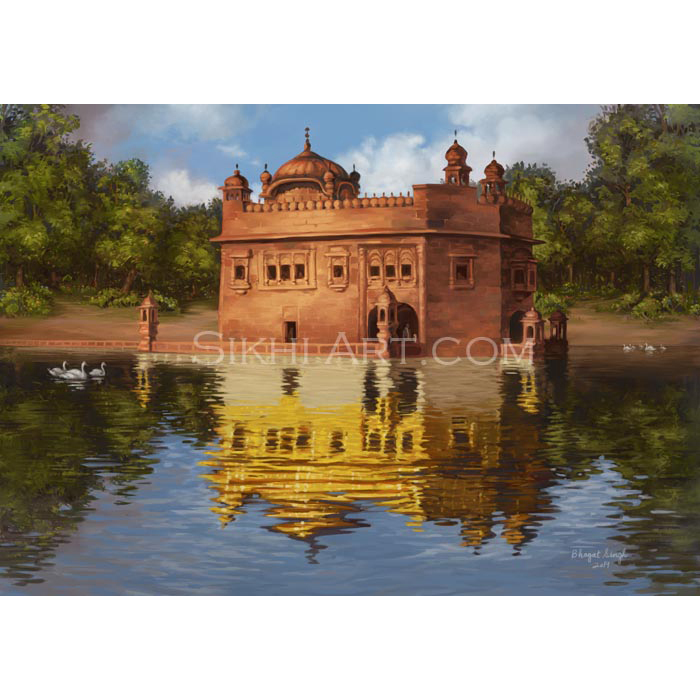 The first Guru of the Sikhs, Guru Nanak Dev ji was born in Punjab, in what is now known as Nankana Sahib, situated in modern day Pakistan. From a young age, he meditated a lot and in adulthood he set out to fulfill his purpose on Earth. Already trained as a trader, he travelled and traded, all the while spreading the Essential Teachings. Those who pay attention to the process of Life, realize that everyone Suffers in this process. Life is full of Meaningless Suffering. 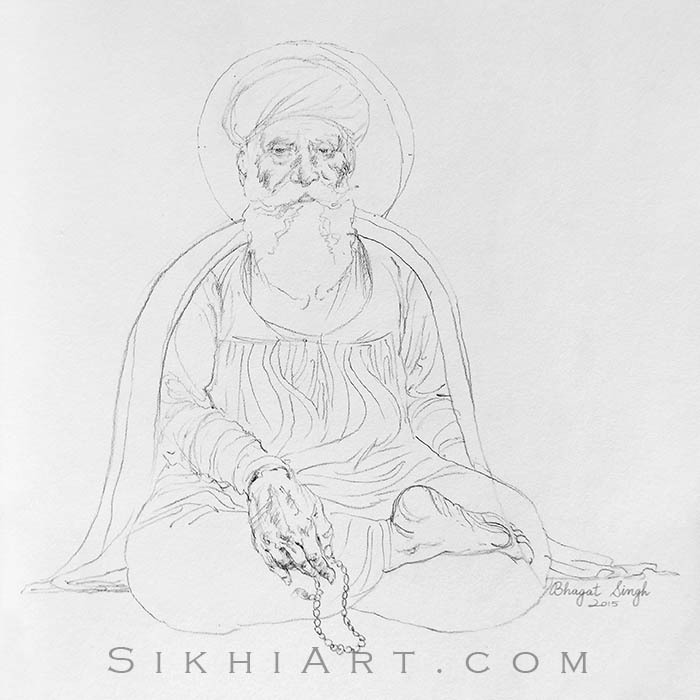 Guru Nanak Dev ji taught that Liberation from Suffering can only happen when one becomes Truthful. When one realizes the Truth and speaks it and acts on it. In Jap ji Sahib, Guru ji says that in order to speak and embody the Truth, one must learn to walk in the way of The Order of God. By walking in the way of God’s Order, one learns about the Truth and gains the strength to act out the Truth. Over his lifetime, Guru Sahib travelled all over India to spread the essential teachings, which are present in the roots of all religions. 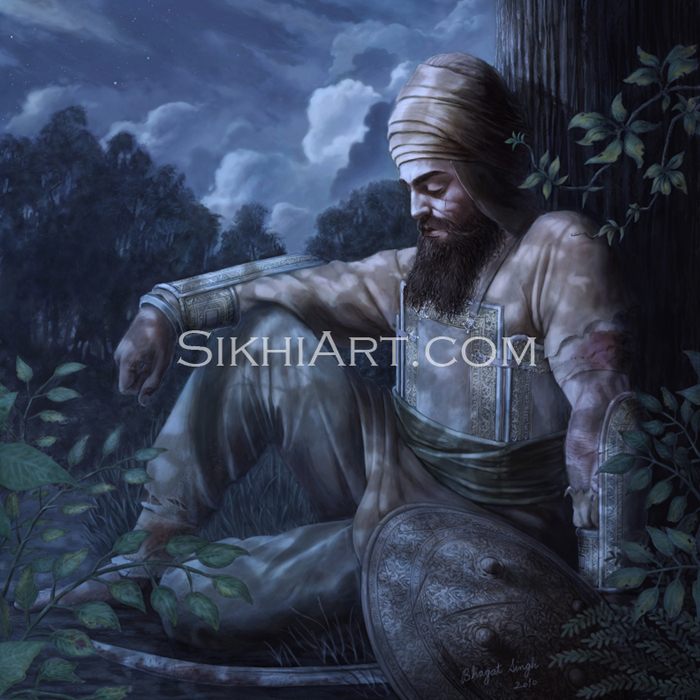 Guru Sahib explains that the Order of God cannot be stated, you can only be with it. He says that it is in the Order of God in which things take form, in which living beings come to life, in which greatness is obtained, in which one becomes high or low, in which pleasure and pain is received. Everything happens inside the Order of God, there is nothing outside of it. He adds that those who recognize that everything happens according to the Order of God, transcend their Worldly Identity. In modern terms, we can say that the Order of God, or the Presence of God, is the Present Moment. By aligning ourselves with the Present Moment, we come to realize the Truth.h. The Truth is that the World is Impermanent, it is constantly changing. Our environment constantly changes from moment to moment. Now we might be faced with the birth of a new baby, in the next moment we might be faced with the death of a loved one. Our emotions, constantly change. One moment we are working seriously. Then we are laughing uncontrollably. Within seconds, our state can change and we can become very sad. Our self, who we think we are, constantly changes from moment to moment. With some people we behave one way, with other we behave in a different way. Our actions, our thoughts, our understanding changes all the time. 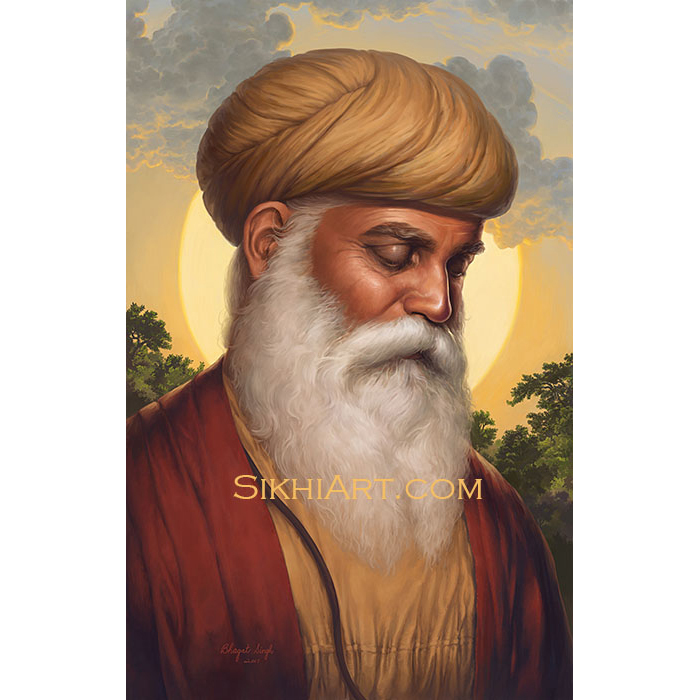 Guru Nanak Dev ji taught that those who cling to things that change all the time, they suffer meaninglessly. Clinging to our Worldly Identity, the story of our lives, is the cause of our Meaningless Suffering. 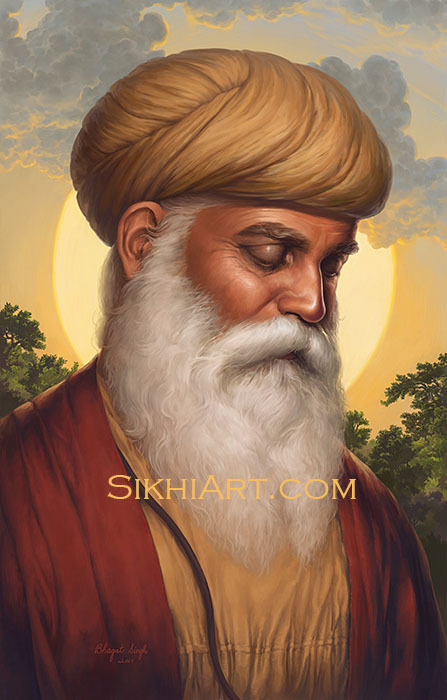 When Guru Nanak Dev ji emerged from the river and claimed “na koi hindu, na koi musalman”, that no one is a Hindu or a Muslim, he wanted us to rise to the eternal Truth. He wanted us to recognize that the True Self transcends the Worldy Identities. The world is a play of God. He has created it so that the mind creates Identities for itself and other minds, for many reasons. We identify ourselves through relationships, such as mother, father, sister, brother. We identify ourselves through our profession, such as Doctor, Lawyer, Plumber, Driver. 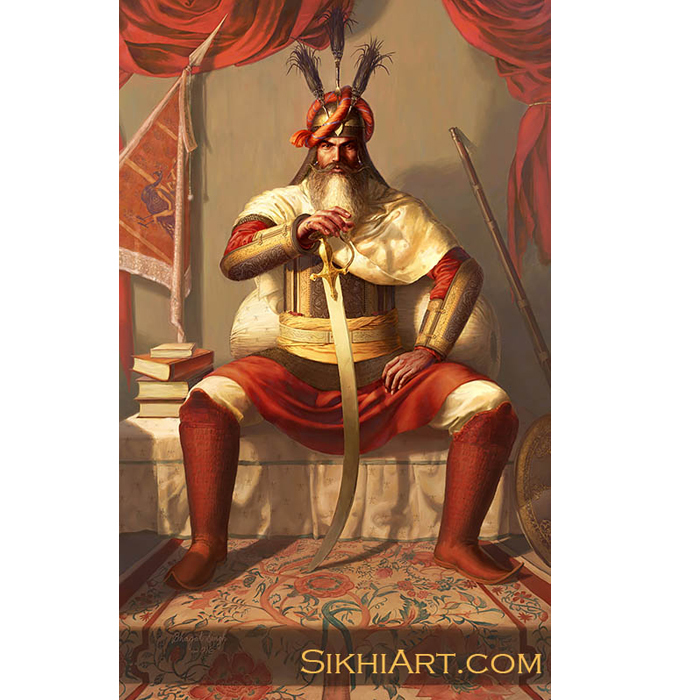 We also identify ourselves as the Sikhs of Guru Nanak Dev ji. These Identities are very helpful in a practical way. 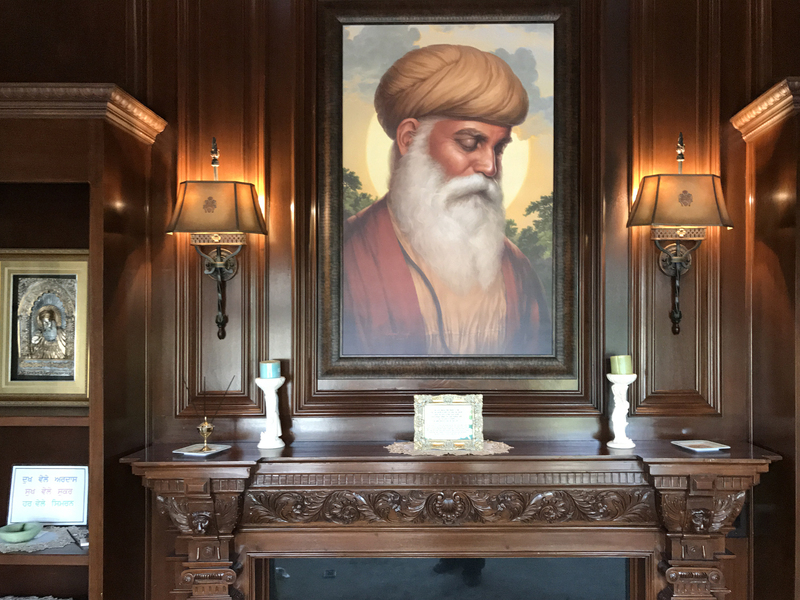 However we must also follow Guru Sahib’s teaching and transcend these Worldly Identities and realize the eternal Truth, which is beyond identification. Guru Nanak Dev ji always said everyone follows Religions blindly without Understanding. So he tried to instill Understanding in everyone. 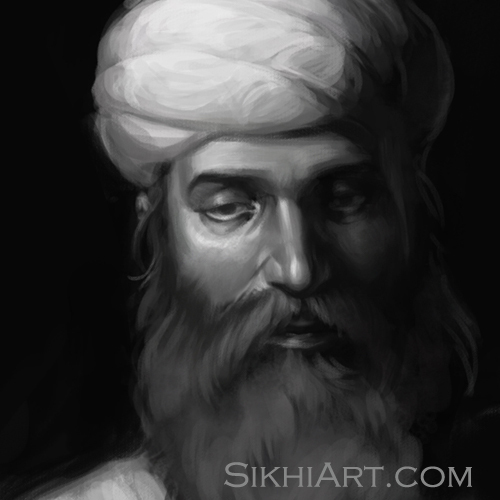 To Guru Sahib, Hindus, Muslims, Christians and Sikhs, everybody was the same, they were all Ignorant of God. 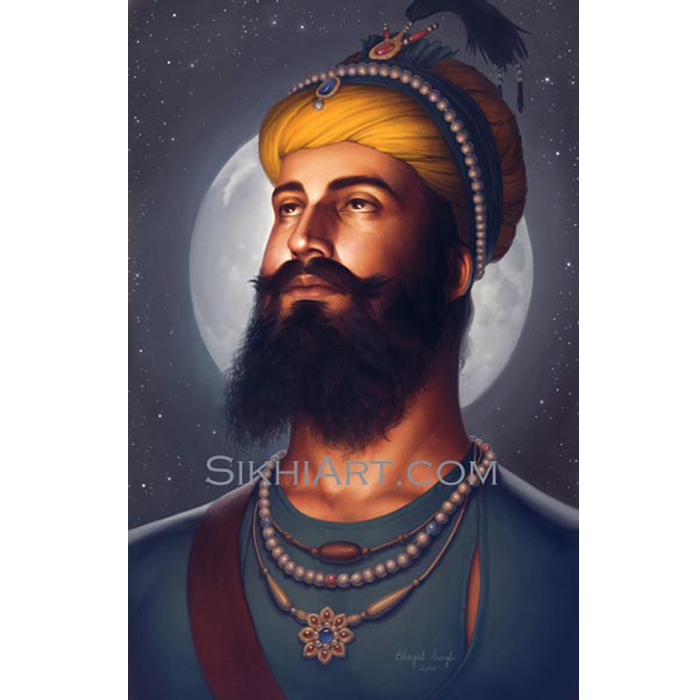 To Guru Sahib, Religion was not a hurdle. It was Ignorance of God that was the hurdle. 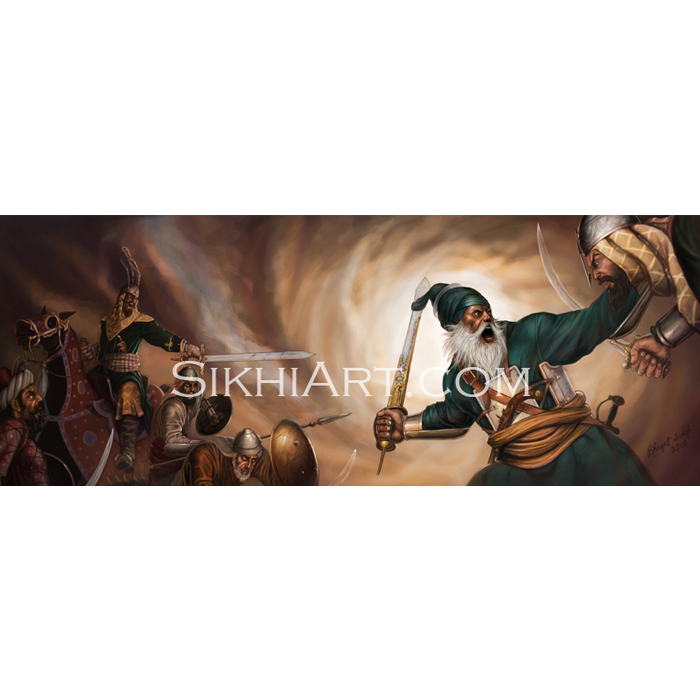 That’s why Guru Sahib focused on deepening the Understanding of Religions that people followed. He focused on deepening their Understanding of God. 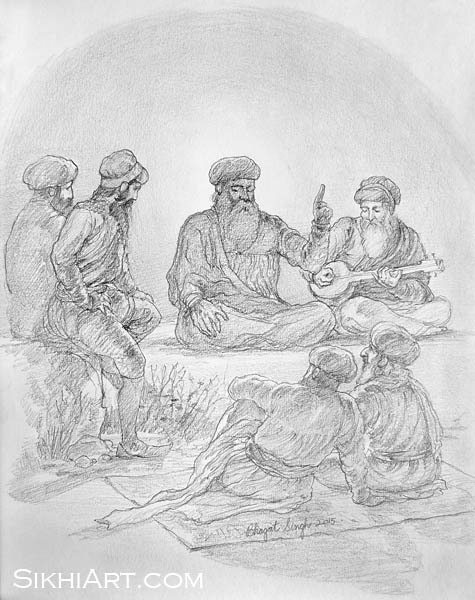 Guru Nanak Dev ji deepened the understanding of Religion and shed light into the Rituals that people performed. He was not against any particular Rituals. He wanted people to bring the Order of God into their awareness when performing their religious Rituals and ceremonies. Guru ji explained the Essential Teachings of Religion to people. 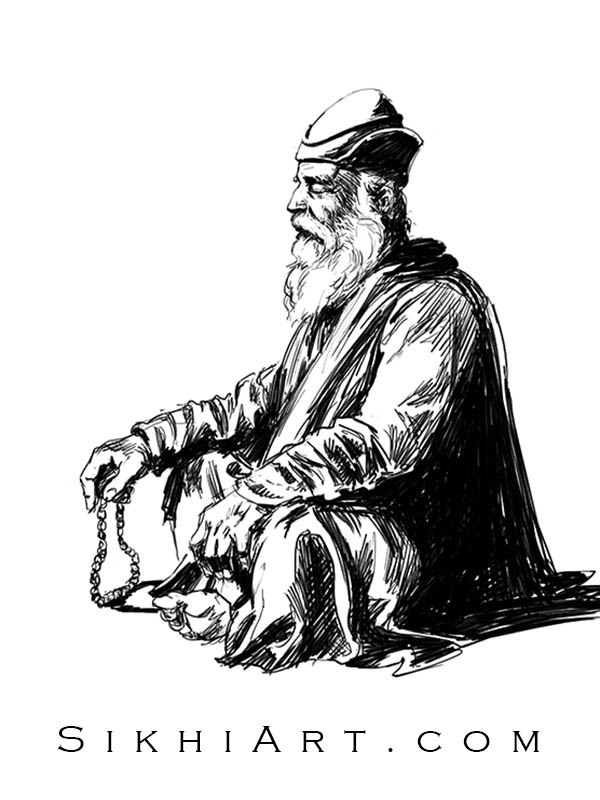 He says that the way an ascetic covers himself with ash, he must also cover himself with the Present Moment, meaning he must align his mind to towards the Order of God. When we live in the Order of God, we start to become Truthful. When we become Truthful, then we overcome our Ignorance and transcend our Worldly Identity. When our Ignorance is transformed into Understanding, then we stop Suffering Meaninglessly. When we stop Suffering Meaninglessly, then our Faith Deepens. When our Faith Deepens, our Rituals become more Meaningful. When our Rituals become more Meaningful, Life becomes more Meaningful, and thus more enjoyable. 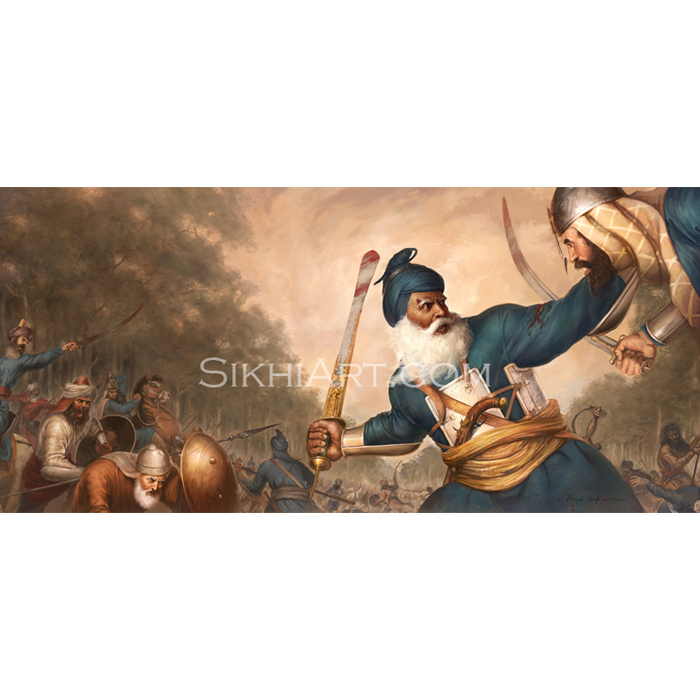 Use Coupon code – AdiGuru – to get 15% off on ALL prints. Become a Patron to gain access to Premium Content like Secret Artworks!